Welcome Home! 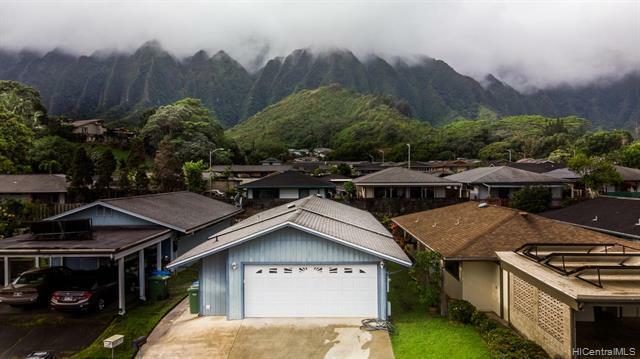 Neighboring the Ko'olau mountain range, this single level home is located in a cul-de-sac. The entryway features marble flooring that flows into the kitchen. Upgraded granite countertops with ample counter space and stainless steel appliances make this open concept kitchen ideal for entertaining. Modern fixtures complement the main and master bathrooms. The recently rejuvenated, Woodridge Community Park is walking distance from your new home. Nearby Ko'olau Shopping Center, you'll find a grocery store, movie theater and eateries close to home. Listings provided courtesy of Century 21 Island Homes.